DOWNEY — The city of Downey has formally opposed legislation that, if approved, would allow high-density housing developments near eligible bus stops and train stations across the state, overriding local zoning codes. SB 50, introduced by state Sen. Scott Wiener of San Francisco, would allow developers to build condo and apartment complexes up to five stories tall near “high-quality” bus stops and transit lines, even in areas zoned strictly for single-family homes. Introduced by Wiener as an answer to California’s housing and homeless crisis, the legislation could substantially alter Downey’s skyline, with housing developments along the city’s major thoroughfares. The legislation also relaxes parking requirements or eliminates them entirely, depending on the complex’s proximity to mass transit. An impartial study by UC Berkeley found that most of Greater Los Angeles would be impacted by SB 50. In Downey, the university estimated that SB 50 could potentially result in housing developments on Firestone Boulevard, between Lakewood Boulevard and west into South Gate, and across most of Imperial Highway. Southern portions of Lakewood Boulevard near the Green Line Station also could be impacted. In a letter to Wiener, Downey Mayor Rick Rodriguez said SB 50 undermines the city’s zoning codes while allowing for little to no public input. Also opposing the bill is the Los Angeles City Council, which said SB 50 would simply create additional market rate housing, doing little to alleviate rising housing costs. “There are so many reasons to oppose SB 50 that it’s almost difficult to know where to start,” said Councilman Paul Koretz. Representatives for state Sen. Bob Archuleta and Assemblymember Cristina Garcia did not respond to requests for comment. DOWNEY — A teen driver may be left in grave condition after a car accident turned shooting that took place Monday evening. Witnesses reported that a 19-year-old driver and his younger female passenger – believed to be his sister – were involved in a vehicle collision on Old River School Road before pulling over onto Quill Drive to exchange insurance information. Witnesses say that the other driver involved exited his vehicle and fired several times, striking the teen in the head. After being shot, the victim’s car traveled further down the street before crashing into a pole. The condition of the driver is not clear; Heather Rallonza posted on a Facebook crime watch page that the victim underwent surgery and is currently in intensive care. This information has not been confirmed by the Downey Police Department, which did not return a phone call seeking additional details. DOWNEY — Downey Federal Credit Union was awarded the “Juntos Avanzamos” (together we advance) designation last week in honor of the credit union’s commitment to helping the Hispanic and immigrant community navigate the U.S. financial system. The honor was bestowed by Inclusiv, an organization dedicated to helping low- and moderate-income communities reach financial stability through credit unions. Downey Federal Credit Union becomes only the 10th credit union in California to earn the designation. A ceremony was held outside the credit union April 18 to celebrate the “Juntos Avanzamos” designation. “Downey Federal Credit Union has demonstrated time and time again their incredible commitment to this community,” said Councilman Alex Saab, who presented Downey Federal with a proclamation from the city. “The people helping people model, that is what it comes down to and that is what our staff, day in and day out, embody,” said Tyrone Conde, vice president of marketing for Downey Federal. “On behalf of the growing Inclusiv/Juntos Avanzamos network, we congratulate Downey Federal Credit Union for making this public commitment to empowering the Hispanic community,” he added. The Downey Police Station in action in 1968. Photo courtesy Larry Latimer/Downey Historical Society. DOWNEY — Sgt. Terry Goeckner of the Downey Police Department will give a presentation at the April 25 meeting of the Downey Historical Society. Goeckner has been with the Downey Police Department for 31 years, including 28 years as a police officer. He is currently an administrative sergeant and supervises background investigations, recruit, the department’s volunteer program, municipal code cases, Alcohol Beverage Control enforcement, and the Citizens Academy. Goeckner’s presentation begins at 7:30 p.m. at the Barbara J. Riley Community and Senior Center. Hero’s for Seniors, officially known as Homeless & Senior Hero’s, Inc., is a social entrepreneurial based 501C3 not for profit public benefit corporation operating exclusively in the city of Downey on behalf of our more than 2,000 living-alone senior residents over the age of 64, by utilizing a workforce of veterans – carefully screened and bonded – former homeless persons and young adults not ready for a college or trade school but considering social services. By mutual agreement, Courage Forward, a non-profit organization which has a strong position with veterans in Downey, will be responsible for guiding veterans to our program and will also help with fundraising activities. Each month a Downey business and an individual will earn the reputation of being a standout hero in our community. For the month of April our business hero is MD Stainless Services located at 8241 Phlox St. between Paramount Boulevard and Downey Avenue. Phone number is (562) 904-7022. The receptionist at MD Stainless is Ashley, a delightful and professional representative of the company who quickly recognized our non-profit mission in Downey and took our story to management and the workforce who in turn donated their services. Anyone, commercial or residential, needing any type of stainless services should not hesitate in contacting this quality company which is an outstanding business representative of the Downey community. Our individual hero of the month is Jeremy Ferguson. Jeremy attended Warren High School through his junior year and was 3.0 student, captain of the football team, member of the track team and a member of the drama class. In Jeremy’s senior year, a family member introduced him to illegal drugs, methamphetamines specifically, which he didn’t respond well to. He became abusive and began criminal activity including stealing computers from the school, which got him arrested and expelled. He spent about four years in county jail where he made up his mind he would never again have anything to do with that lifestyle or family member. Today, Jeremy is 26, no longer on parole or involved in shady activities. He has a quality job (recently received a promotion), his own apartment and car. But more importantly, Jeremy has volunteered to donate his spare time in talking to young adults about illegal drugs and how quickly they can cause a person to become active in criminal behavior. Jeremy has also earned his high school diploma and spent a semester in junior college. Thank you, Jeremy, for volunteering with Hero’s for Seniors! We look forward to your participation. Next month we will tell Patriot readers about our recently emancipated teenagers and their ongoing struggle to make good decisions on their own behalf and how participating with Hero’s for Seniors can help them find their own way in life. Like most non-profits, we depend on the generosity and kind hearts of donors. We believe the residents and businesses of Downey recognize the importance of a strong upstanding community. Soon we plan on having some fundraising activities at local restaurants. In the meantime, we ask that interested donors either visit the following website: https://www.gofundme.com/6wjfkyw or by sending a check to the Downey Federal Credit Union at 8237 3rd Street, Downey, CA 90241 payable to Homeless & Senior Hero’s, Inc.
Any contribution is deeply appreciated! All donors will be recognized unless they request anonymity. Soon we’ll publish contact information. In the meantime, you can offer comments and suggestions by calling (714) 342-8769. DOWNEY — A Downey man who worked as a Montebello police officer died Sunday morning in a shooting incident at the Montebello Police Department. Authorities said the 41-year-old man was found with a gunshot wound in the station’s locker room. Investigators are working to determine if the shooting was accidental or suicide. The man’s name has not been publicly released. Officials said the man was sworn-in as a Montebello police officer last year. DOWNEY — Monthly rental prices continue to climb in Downey, with the average cost of a 2-bedroom apartment in Downey increasing 7.3% since this time last year, according to an analysis of rental prices in the Los Angeles metro area by Zumper. The average cost of a 2-bedroom unit in Downey is $1,900, according to the study. One-bedroom apartments average $1,470 monthly, the same price as a year ago. Of the 22 L.A. County cities examined in the report, Whittier had the largest monthly rental growth rate at 5.2%, followed by Downey at 5%. Also notable: for the first time, it is now more expensive to rent in Inglewood than in Downey. Spurred by construction of a new football stadium, rental prices in Inglewood have skyrocketed the past year, pushing the average monthly rental price of a 2-bedroom apartment to $1,910. California Gov. 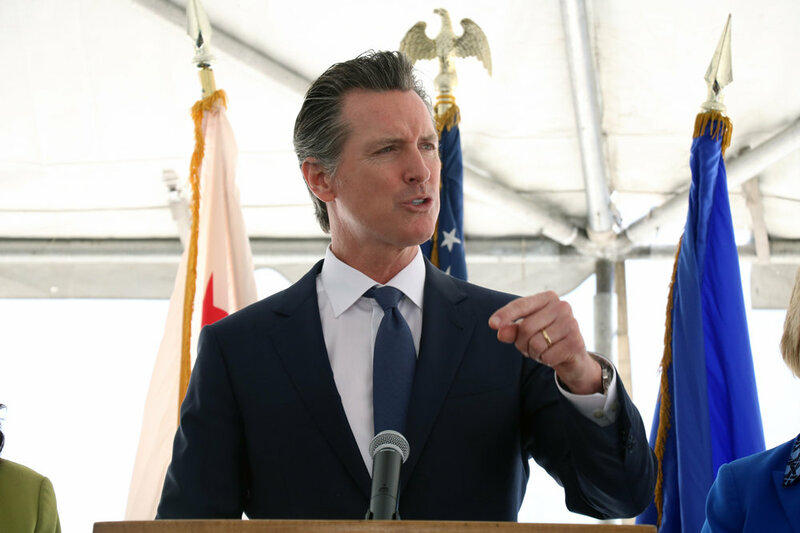 Gavin Newsom speaks at Rancho Los Amigos National Rehabilitation Center, where he announced a new state effort to reduce pharmaceutical costs. The Murdoch Fraser Aquatics Center at Warren High, which opened in October of 2017, was financed by Measure O.
DOWNEY – Revenue from a $248 million bond measure to renovate Downey Unified schools has been appropriately spent on campus renovations, according to a report issued last week by a civilian oversight committee. Downey voters approved Measure O in 2014, electing to tax homeowners to fund repairs, upgrades and new construction projects at Downey Unified campuses. Downey Unified sold $50 million in bonds in October 2015. The next bond sale occurred in February 2019 in the amount of $135 million. After Measure O was approved, the school district created a citizens’ bond oversight committee to ensure bond proceeds were properly spent, as required by law. “The oversight committee has determined that Measure O funds were indeed used for construction jobs, temporary facilities and utilities, mandatory state inspections, environmental reviews, site preparation, engineering services, and other fees and services that are expected with large construction projects,” said Eric Pierce, chair of the oversight committee. Pierce presented the committee’s findings to the school board on April 9. “Funds for administrative salaries were spent only to the extent they perform administrative oversight work on construction projects,” Pierce added. Measure O spending also underwent an independent audit that revealed no questionable costs, according to the report. Downey Unified spent about $28.8 million in bond proceeds during the 2017-18 school year, which funded renovation work at all 13 elementary schools, four middle schools, and three high schools. Work was also done at Downey Adult School and district headquarters. In addition to Pierce, the oversight committee includes Paul Beemer, Danielle De Buhr, Melody Gregorio, Russell Skersick, Jerry Wetzstein and Jeff Townsend. The complete report is available online at dusd.net. DOWNEY — Downey High School’s 2019 dance team was named a five-time national champion at the USA Dance Nationals in Anaheim earlier this month. They were also presented the Judge’s Award of Excellence and Best Choreography. The team is directed by Leslie Patterson and assisted by Cassie Garcia and Alicia Martinez; all three are alumni of Downey Unified. When I ran for office, my purpose was and always will be to serve the residents of Downey. These residents include children. During my time in office I have learned that the need for foster homes continues to grow with Downey and neighboring cities experiencing an increase. The primary purpose of foster care is to provide a safe and stable environment for a child who cannot be with his or her parents. Downey Cares Collaborative was formed to help children who have been displaced from their homes and need a place where they can feel safe. The group’s mission is to cultivate a public-private coalition to address the needs of children and families in the City of Downey who are affected by child abuse and neglect. Many of us are unfamiliar with foster care and may wonder why it is so important. Maybe you have even considered becoming a foster parent but weren’t sure where to start. By opening your home to these children you will help them learn what a stable home looks like. Oftentimes they have suffered abuse or neglect from their own parents, so they have no idea what a loving home feels like. Foster parents can help them learn what it’s like to eat, sleep, and play in a place that is safe and stable. Statistics have shown that foster kids are 50% more likely to become homeless, develop an addiction, be arrested and not graduate. I believe we are better than that! Being a foster parent gives you the opportunity to teach a kid how to be a kid. With patience and love, a child can learn to laugh and to act their age. Foster parents help children understand that there are people who care for them and love them. Opening your home offers a safe transition period for the child while the biological family gets their issues resolved. Many times fostering can even lead to adoption. Helping a foster child is an essential component of bringing families together and helping kids to grow up and excel in life regardless of what they have gone through. If this sounds like something you would be interested in doing or would simply like more information, please join us on Saturday, May 4 from 10 am to 1 pm at New Seasons Church in Downey. Representatives from the Los Angeles County Department of Children and Family Services will be on hand, along with other organizations, to answer questions and give information. Knowing that there are children here in our city that need a home truly is heartbreaking. Please join me and Downey Cares Collaborative in helping our local kids. This is my third month of Eye on our Schools, I hope you have enjoyed the first two articles and hope you will continue with me on my journey through our schools. To save space in this article, I’m abbreviating the middle schools to MS and high schools to HS or sometimes I just drop the initials completely. Words cannot express the great pride I take when asked what school district I represent. I reply the “Great and Wonderful Downey Unified School District” because that is exactly how I feel about this district and so much more. Education in Downey Unified is about much more than the three “R’s” (reading, writing and arithmetic). More specifically it’s also about creating students who value the Arts. The past few weeks, I was lucky to see some of the activities associated with the Arts at the middle schools. Our drama teachers are the best around! They are excited about their plays and project energy onto their students, who in turn use that energy in their performances. We also have a great community full of supporters and parents who dedicate their free time in support of our students. I laughed (and sometimes sang) along with the audience at the productions of “Shakespeare Goes To Gravel Gulch….” at Doty MS, “Haphazardly Ever After” at Griffiths MS and “Grease” at Stauffer MS. I love the “outtakes” and commercials that you get to watch during intermission at Doty; they made me laugh and kept me entertained while the crew got ready for the next act. Watching the kids do the “hand Jive” during “Grease” took me back a few years, and I must give kudos to dedicated community member, Mr. Jeff Toussing, who carved and painted the Greased Lightnin’ car out of styrofoam for Stauffer. At Griffiths, there was a student in the audience from another district and at the end of the performance I overheard her ask the person sitting next to her if this was a magnet school. The girl she asked replied that it was not. She then responded saying that this production was better than the plays at her own performing arts magnet school… What a great compliment! These may be middle school productions, but our students, sets and costumes are a big step above standard middle school expectations. Now moving on to the productions at the high schools, which seem like they could be seen live on Broadway! 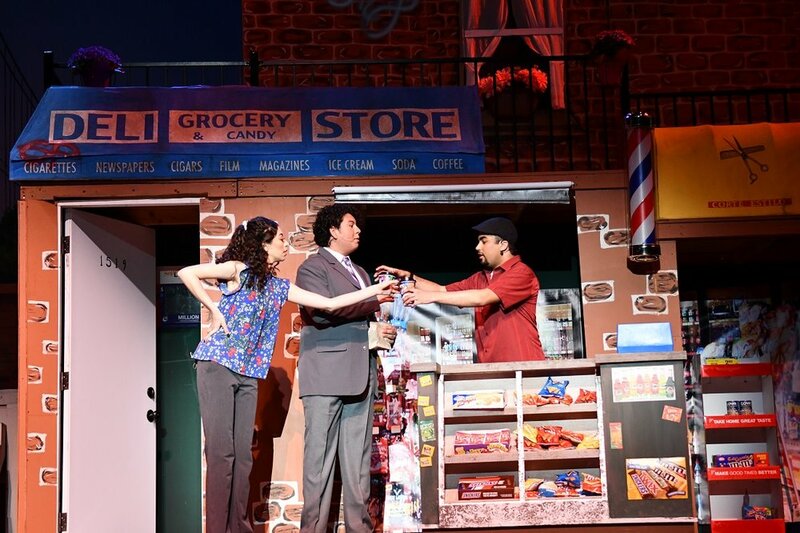 I recently saw the Downey HS production of “In The Heights” at the Downey Civic Theatre, with music and lyrics by Lin-Manuel Miranda, and wonderful sets designed and built by Downey HS teacher Vincent Appel. There was dancing, singing, cheering, crying and everything in-between. I was amazed by the students’ ability to remember the often long and fast paced dialogue. You would have thought you were sitting at the Pantages Theatre. And let’s not forget the great productions at Warren HS. While they are always in a smaller and more intimate setting where they do not need to use a microphone, the students are spot on when it comes to being funny, engaging, dramatic and captivating. I saw their most recent play last Saturday, “Yankee Tavern” and I have to say that it was another brilliant production. Warren’s drama teacher majored in set design and again he didn’t disappoint. The stage was turned into a working tavern where attendees could purchase a beverage for the evening…non-alcoholic of course. The only beer on tap was root beer. My favorite annual play is “Night of the Living Dead” where a certain science teacher does a guest appearance as a Zombie. A few years ago, the construction teacher built a rotating platform into the stage floor that turns between scenes when necessary and has been used in multiple plays. That’s something you don’t see at every high school! Warren High has another production coming up soon, the comedy “Mrs. California” beginning May 22nd through May 25th at 7:30pm. I highly recommend that you get to the Warren High theater early because seats sell out quickly. The music programs at the middle and high schools are equally as wonderful as the drama productions. They all have opportunities for some, if not all, of the following activities such as choir groups, jazz bands, marching bands, jazz singers and the list goes on. Downey HS just came in first place at the Monterey NextGenerations Jazz Festival against jazz bands all across the country. And Warren HS has won the Southern California School Band & Orchestra Association (SCSBOA) Division Championship two years in a row and this school year earned their highest points in school history with a 94.15. Keep your eyes on the individual schools’ websites for opportunities to hear some of the best performances in Southern California. I talked a lot about the drama productions, but our district also provides so many great opportunities in Music and Visual Arts for our students at all levels. I will revisit this area more during a later article. As I close, let me put in a couple plugs… If you’d like to have some hands-on fun with animation, I recommend you go to Mr. Bill Austin’s class, Room K1, at Warren HS at 6:30 p.m. and 8 p.m. on Wednesday nights where he opens his classroom doors to anyone that wants to learn about animation. At the elementary level, please visit the Downey Foundation for Educational Opportunities’ website (DFEO.org) to see what our partner foundation offers our students to help supplement art education. As you can see, I am very proud of the opportunities we provide our students every day at our schools to help them become citizens of strong character. None of this would be possible if it weren’t for the support of every one of our employees. Our teachers are always looking for ways to impact our students and our non-teaching Classified staff for providing food for them every day and keep our schools looking clean, safe and inviting. Downey HS Band Spring Concert at the Downey Civic Theater - Thursday, May 2, 7:00 p.m.
Warren HS Spring Concert at the Downey Civic Theater - Tuesday, April 30, 7:00 p.m.
Doty MS Spring Concert at the Downey Civic Theater – Monday, May 13, 6:30 p.m.
Griffiths MS Spring Concert – Tuesday, May 21, 6:00 p.m.
Sussman MS Concert on the Lawn – Thursday, May 16, 5:00 p.m.
DOWNEY — The Downey Symphony Guild invites the public to their annual gala fundraiser for the Music in the Schools program and the Downey Symphony Orchestra. The event will be held at Los Amigos Golf Course on Friday, April 26. Social hour begins at 5:30 p.m. and at 6:30 p.m. dinner will be served. 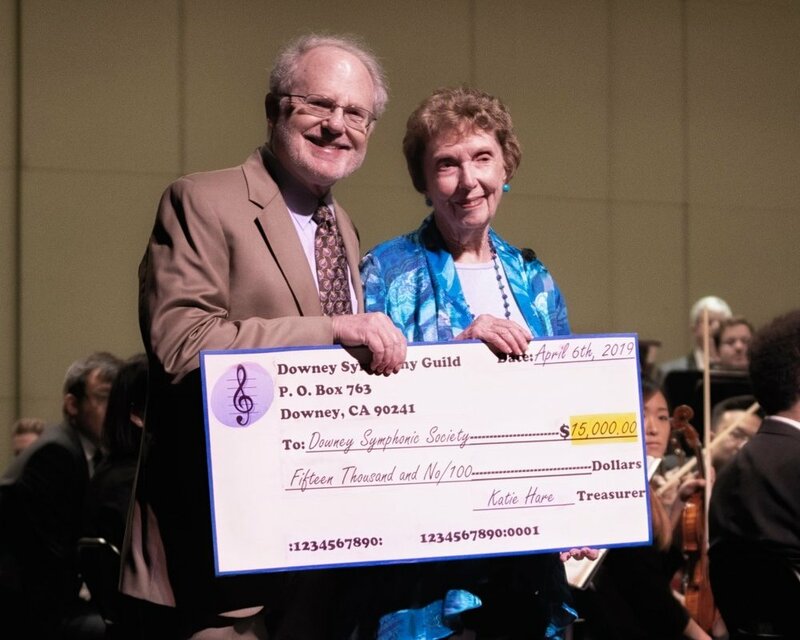 Hare continued, “The Downey Symphony Guild just presented our annual donation to the Downey Symphonic Society and the Orchestra. We were so pleased to be able to give $15,000 at the Gershwin concert on the 6th of this month. All that money helps fund the Music in the Schools program and the Orchestra concerts in the Downey Theatre. Now we start to build up funds again for the Guild’s donation next April. There is still time to make a reservation by phone. The cost per person is $65. For reservations and more information, contact Katie Hare at (562) 861-8507. Friday, April 26 – Downey Symphony Guild gala fundraiser at Los Amigos Golf Course, 5:0 p.m.
Wednesday, June 26 – Downey Symphony Orchestra free summer concert in Furman Park, 7 p.m.
Sunday, June 30 – Downey Symphonic Society and Symphony Guild end of 60th season summertime barbecue at the Women’s Club of Downey, 3 p.m.
DOWNEY – A man found dead early this morning on Woodruff Avenue didn’t suffer major injuries and there are no obvious signs of foul play, according to police. The body was reported to police at around 5 a.m. Police officers found the man on Woodruff Avenue, just south of Stewart & Gray Road. Police identified the man as African American, approximately 40 years old. The L.A. County coroner’s office will determine a cause of death. Anyone with information is asked to call Detective Richard Garcia at (562) 904-2330. 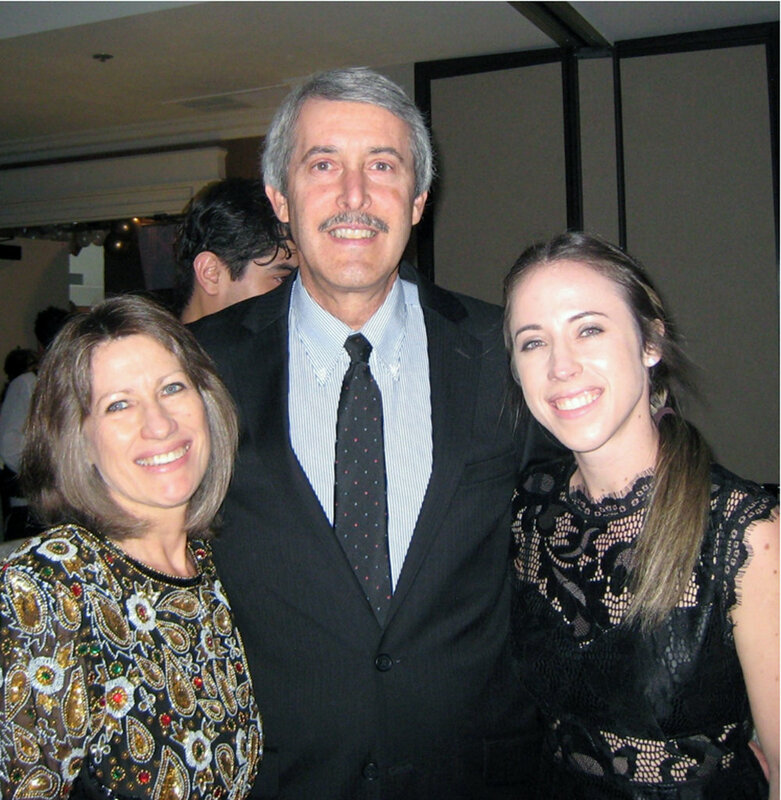 The black-tie event raised funds for the Downey YMCA and TLC Center. Honorees included Jim Derry, Charles Gregorio and Alex Saab. DOWNEY — Police are investigating after the discovery of a dead body early Tuesday morning. The body of a man was reported at about 4:49 a.m. on the 12000 block of Woodruff Avenue. It is not yet known who discovered the body or how the man died. Woodruff Avenue has been shut down north of Washburn Road while police investigate. DOWNEY — Three teachers from across Downey Unified were recognized by the Downey United Masonic Lodge 220 at the Board of Education’s monthly meeting held on Tuesday, April 9. This annual award, which first began in 1964, is presented to a teacher from each level in the Downey Unified School District. This year’s Masonic Teacher of the Year recipients are Lacy Atlas, Kathleen Carter and John Glaister. Old River Elementary School’s Lucy Atlas accepts her Masonic Teacher of the Year plaque from the Downey United Masonic Lodge 220. From left to right: Stephen White, Downey United Masonic Lodge 220 Junior Warden; Ralph Lopez, Downey United Masonic Lodge 220; Lucy Atlas; Caryn Jasich, Old River Principal; and David Olmedo, Downey United Masonic Lodge 220 Senior Warden. Beginning at the elementary level, Lucy Atlas, a fifth-grade teacher at Old River Elementary School, was selected for her unwavering dedication to the success of every student. Beginning her teaching career in Downey Unified at Gauldin Elementary School in 1986, Atlas transferred to Old River Elementary School in 1997 when the school was first opened. She currently assists in the GATE program, the Gator Glee and has coached students in the Carnival of Champions for the past 25 years. Doty Middle School’s Kathleen Carter was recognized as this year’s middle school Masonic Teacher of the Year. From left: Stephen White, Downey United Masonic Lodge 220 Junior Warden; Ralph Lopez, Downey United Masonic Lodge 220; Kathleen Carter; Brent Shubin, Doty Middle School Principal; and David Olmedo, Downey United Masonic Lodge 220 Senior Warden. Kathleen Carter, a Social Studies teacher at Doty Middle School, was chosen as the second Masonic Teacher of the Year representing the middle school level. Previously an ASB Advisor for three years, Carter started at Doty Middle School in 1994 when it was still named East Middle School. Due to family priorities, she accepted a part-time position at the Downey Adult School assisting in the GED diploma program, then in 2013 she rejoined the Doty staff. Carter is the co-chairperson for the Social Studies Department and played a key role in assisting the school in receiving the state and national Schools To Watch designation. John Glaister, Columbus High School teacher, accepts the award of 2019 Masonic Teacher of the year. From left: Stephen White, Downey United Masonic Lodge 220 Junior Warden; Ralph Lopez, Downey United Masonic Lodge 220; John Glaister; Anthony Zegarra, Columbus High School Principal; and David Olmedo, Downey United Masonic Lodge 220 Senior Warden. Selected from the high school level, Art teacher John Glaister from Columbus High School, was the final Downey Unified teacher to be honored. Glaister has been a teacher at Columbus High for 15 years, teaching art and acting as an ASB Advisor. He provides support across the district, helping elementary schools by making classroom sets of student whiteboards and creating signage for various rooms. Glaister is also active in the Downey community assisting in building book boxes around the city while the public library is closed for renovations. “All three of the Downey Unified teachers that were awarded the Masonic Teacher of the Year exhibit qualities that direct students down a path that leads them to be citizens of strong character and globally competitive, while providing them with the appropriate tools to be both college and career ready,” the school district said in a statement. Ridding Downey of coyotes won’t be fast, easy or cheap. Mayor Rick Rodriguez downplayed their threat.